We already know that the GoPro HD Hero cameras are "awesome", and that you use them all the time on your "adventures", because they are "easy to use", "tough", and "cool". We know that there are "a ton of cool accessories and mounting options available." You told us how you attach them to your surf boards when you go surfing and how you use it on your ski helmets when your skiing. We even know that the GoPro HD shoots video in 1080p, blah, blah, blah...JUST STOP ALREADY!!! It is beyond frustrating when dealing with GoPro customers because they love the product so much. It makes us sick. It's similar to the early adopters of the iPhone (boy were they wrong). I don't want to hear about the GoPro Hero anymore and just for spite we are going to find something way better, twice as good even, then maybe you will leave us alone with your "GoPro HD works so good" nonsense, and go back to being super cool with your other Go Pro adventurer friends. After scouring the internet we found it. There is officially something better than the GoPro HD Hero! It's called the GoPro HD Hero 2 and it's 2X better than the original in almost every way. To start the Hero2 can capture professional quality low light images and it has a lens capable of shooting images twice as sharp as the original. The Hero2 lets you stream video via Wifi to your computer, tablet or the web. It can shoot 10 photos per second in 11, 8, and 5 megapixels. The GoPro HD Hero2 retails for around $299.99 that means for twice the powers of the original you pay just $100 more. Take that you Original GoPro Hero lovers. 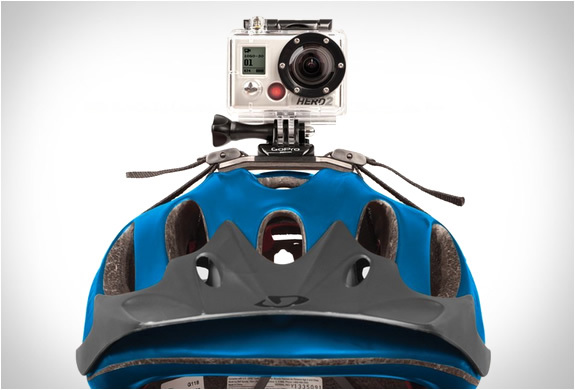 Want More GoPro Camera Products?